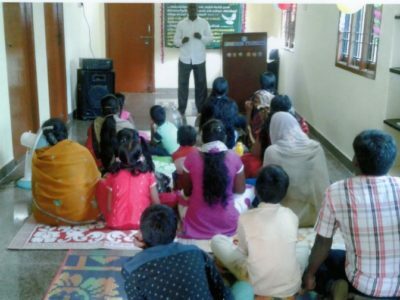 Pastor D. Prakasam, a graduate of the FBHC’s former College of Evangelism in Kodaikanal, has been ministering in an area named Guduvanchery since 2007. His wife Leema assists him with his ministry and they have a six years old son Paul Asre. Guduvanchery is a suburb about 35 km southwest of central Chennai and is a major residential area for a large, important commercial/industrial district in which many tertiary educational institutions, IT companies and industrial factories, including a major motor-vehicle assembly plant, are located. His ministry is based in the home he rents – property in the area is very expensive – and this causes him ongoing problems as most of the house owners in the area are Hindus, many of whom are members of the Brahmin caste, the highest caste in the system and the caste from which Hindu priests are chosen, and they are unwilling to rent their properties to Christians and particularly to have Christian ministries based at their properties. Even if the owners are willing, their neighbours and friends often pressure them to not allow Christians to rent. Because of this Prakasam has had to move his family several times in the eleven years he has been ministering there but he is thanking the Lord for a seemingly long-term tenancy with the present house he is renting. 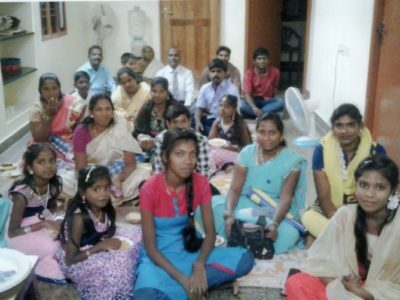 “Guduvanchery ministry has started to breathe freedom. God has given a good house to worship in. Believers slowly started to come to church. Whenever church is shifted there will be difficulties for us because believers will say many reasons to not come to the church. Every Sunday service the Holy Spirit is leading differently so we are encouraged by and strengthened by the Holy Spirit. He provided all needs. Guduvanchery and surrounding villages are very much possessed by demons and witchcraft. Please pray for Pastor Prakasam and Leema as they serve the Lord in what is a very “hard” area by Indian standards and pray that the Lord will bring blessing to them in much further fruit for their labours. 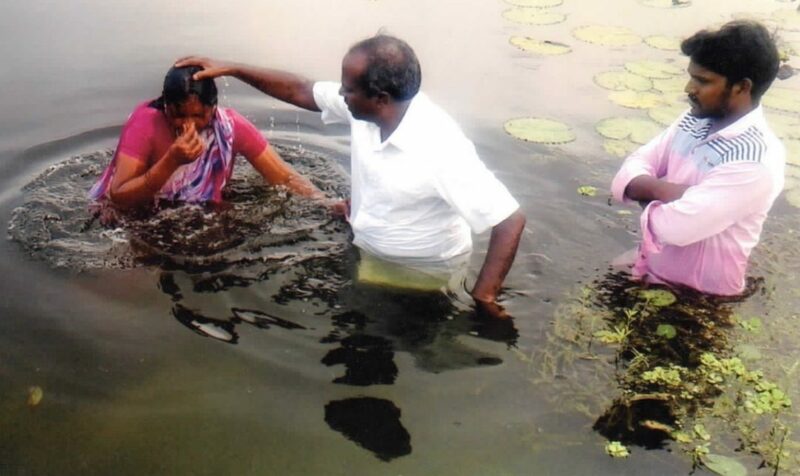 Please pray also for Lydia, asking the Lord that she will grow in grace and in the knowledge of her Saviour, and for her children, and especially for her husband, Karthick, that in the power of the Holy Spirit, he will give his life to the Lord.